Sophie Cornish and Holly Tucker are the founders of notonthehighstreet.com, an award-winning, multimillion-pound online marketplace selling thousands of innovative, stylish products. But eight short years ago Sophie and Holly were maxing out their credit cards, trying to secure loans and crossing fingers that their big idea would take off. Now they've written down all the lessons they had to learn the hard way, drawing not just on their experience but also that of the 5,000 independent businesses they work with. With startling honesty, they lay bare the truth about getting started while raising a young family at the same time. They believe that anyone should be able to achieve a great working life on their own terms. Here's how. 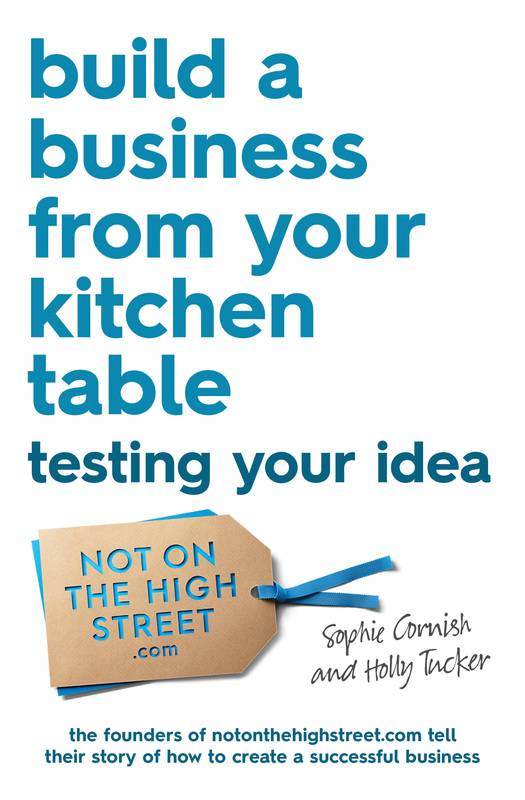 Give your business idea a rigorous work-out with the notonthehighstreet.com 'Down & Dirty Test'.